Super Easy Freezer Cooking. 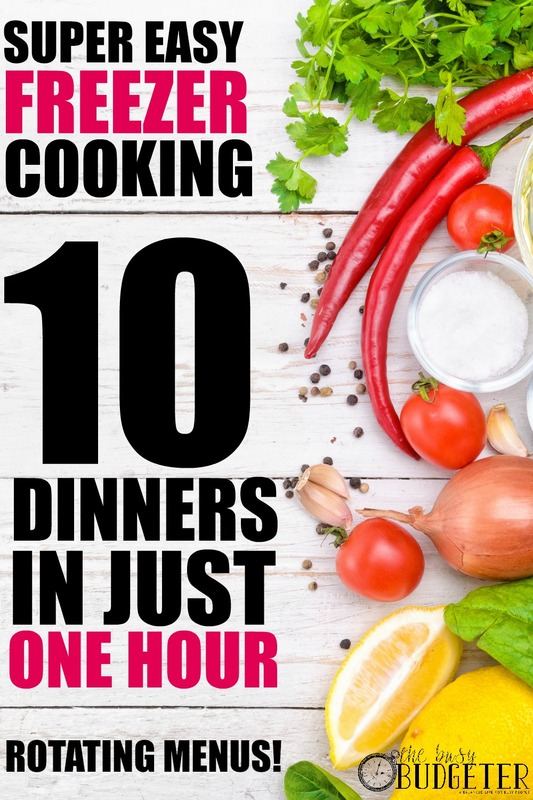 10 Meals in an Hour. Rotating Menus. Let’s talk about quick dinners. I’ve been going back and forth with a reader for a while now (Hi Andrea!) about freezer cooking. She is struggling to get out of the drive- thru every night and was SO excited when I told her about freezer cooking that she “went a little nuts” (her quote- not mine!). She spent 13 HOURS cooking on Saturday. When she was done, she had 2 lasagnas, a batch of meat sauce, a chicken casserole and 54 pancakes to show for it. And she had spent over $300 on groceries. Needless to say, she was heartbroken. She never even got a chance to make many of her meals, and her kitchen was a disaster. I’ve written about this a lot. Freezer cooking is AMAZING. 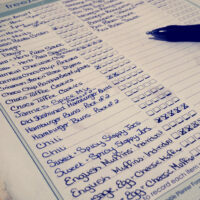 It’s a game changer and puts dinners on autopilot for… well, pretty much the rest of your life. But it’s a skill. Just like anything else. The first time you rode a bike, you probably fell and scraped your knee and hated it, right? If you throw the bike in the trash at that point, you’ll never get to the point of coasting down a hill without hands. Get my drift? That first awkward bike ride and that first disastrous freezer cooking session are the same thing. You get better, but you have to work your way up to coasting. That being said, I don’t freezer cook like that anymore. I used to cook and bake all of our food ahead of time, so we could just heat and eat. But as the business grew, I got busier and busier, and I was struggling to find 8-12 hours on a weekend to devote to cooking (even once a month!). 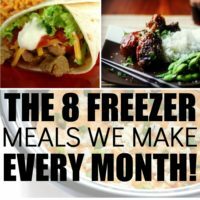 Late last year, I started getting into freezer to crockpot meals and super easy freezer meals from $5 Dinners that won my heart over. 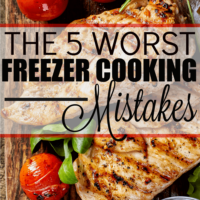 It’s all of the benefits of once a month freezer cooking, but without the time commitment. I started using Freezeasy’s meal plans exclusively. They let me make 10 dinners in less than an hour and I usually spend between $70-$80 on the ingredients to make them. The recipes are delicious and hand chosen to be super quick to create and freeze. 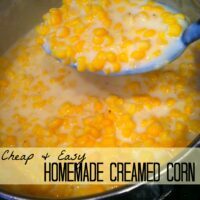 So you just thaw overnight and then dump it in a crockpot or stick it in the oven. We plan for freezer to crockpot meals on the hectic days and freezer to oven meals on the weekends when we have 30 minutes to bake dinner. The drawback of that system was they only had a handful of menus that were available. And then, I got the best news ever yesterday. Freezeasy is releasing a new membership site called My Freezeasy that gives you 8 menus every month to choose from! These are the menu’s they’ll be releasing EVERY MONTH to members! All Pork Chops Plan – 10 meals: all recipes using pork so you can get the pork chops on sale and stock your freezer. Pro Tip: I’m making these every Saturday and using leftovers as lunches. I’m doing the slow cooker plan first because we need those during the week, then traditional, then all chicken and then taking the fourth week off. That gives me a surplus going into the next month. You get ALL of these now with a membership! While that’s exciting enough, it pales in comparison to the best part! Freezeasy is creating a monthly “build a menu” membership which lets you custom create your own menus using THE ENTIRE DATABASE OF FREEZE EASY! So, if you’re not in the mood for beef stroganoff, just click and drag it off your menu, and replace it with chicken fajitas (or whatever you want!). This WON’T BE AVAILABLE until August. Which I’ve only been waiting for FOREVER! The best way to get notified when they release the build a menu program for easy freezer cooking is by entering your email below to get access to a free sample plan and a freezer cookign workshop. When I got that email yesterday, I reached out to Erin Chase, the founder of Freezeasy (and $5 Dinners!) and forwarded her some of the excited emails you guys sent me after you tried your first Freezeasy plan and realized how easy freezer cooking is. And she called me (I totally fangirled! I’m sure I embarrassed myself) and said that she can give us an exclusive offer! The first 25 readers that get a My Freezeasy monthly membership ALSO get a one- year FREE upgrade to the premium service (which is the build your own menu database!) when it’s available! (likely in August). Also- book your calendars for August because I CAN’T WAIT! You can get the Basic Membership RIGHT NOW by clicking here and the first 25 of you that purchase will get automatically upgraded when the menu builder is released for one full year! *Freezeasy will track the first 25 through the links on this page (and reach out to you directly if you’re the first 25). P.S. I’m thinking the free upgrades will be gone by tomorrow, so don't wait on that! I was hoping to find actually recipe ideas in this article. Instead, it’s really just promoting someone else’s service. That was a let down for sure.